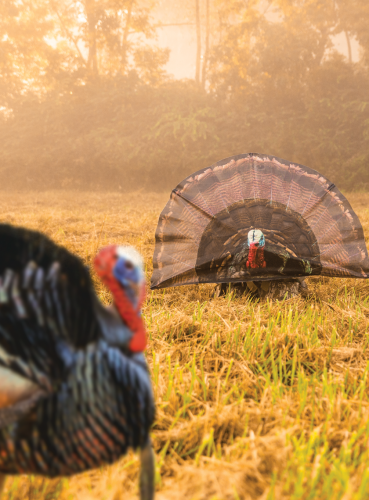 Introducing the new Double Bull SurroundView™ Turkey Decoy. It’s a one-of-a kind reaping decoy built with our exclusive one-way see through technology. Now you can creep right up to a gobbler or fan him in while you witness every moment behind the one-way see through fan. You keep your eye on him without peeking around or above the decoy as he stays focused on the fan!